The trade war between China and the U.S. has been dominating headlines for months, and it won’t go away any time soon. 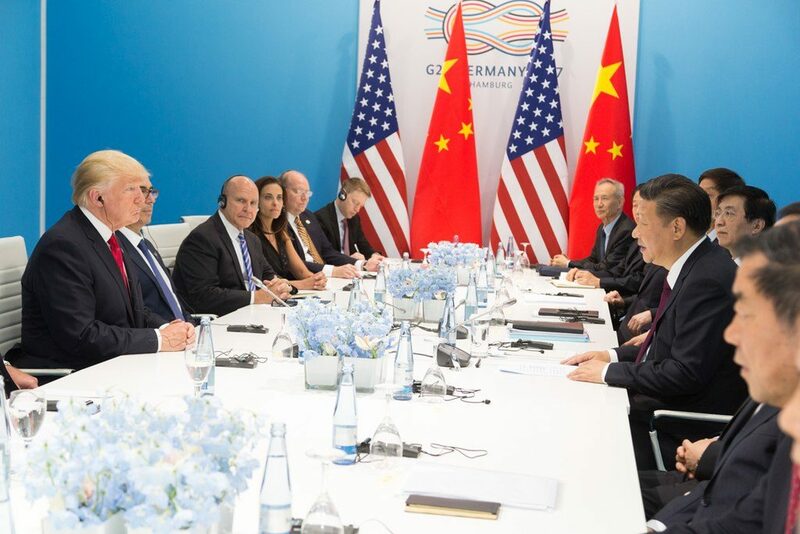 U.S. President Donald Trump and Chinese President Xi Jinping are expected to meet at the G20 summit this month, but it’s unlikely any agreement can be reached in a single sit-down. Of course hedge fund managers have been keeping a close watch over the trade war and its effects on both countries’ economies and financial markets, and many of them wrote about the issue in their recent letters to investors. ValueWalk has been able to review a number of these hedge fund letters. For example, in his third-quarter letter for JHL Capital, CEO James Litinsky describes the trade dispute between the U.S. and China as “Cold War 2.0.” He also draws a comparison between it and the original Cold War between the U.S. and the Soviet Union, which went on for decades before finally coming to a sort of unofficial end in the early 1990s. A few sources refer to the tensions between the West and Russia after the 2014-15 conflict in Ukraine as “Cold War II,” so it’s important not to confuse Litinsky’s use of a similar term with those other casual uses of the phrase. He doesn't expect the G20 sit-down between Trump and Xi to result in anything more than "some positive headlines and warm photo ops." He also feels that those who are expecting to see progress are "missing the much bigger picture." Litinsky sees China as "an economic superpower on the verge of matching American hegemonic status." He pointed out the rapid rate at which China's economy has ballooned in comparison to the U.S. economy. In 2006, the U.S. economy was five times larger than China's, but last year, it was just 60% bigger, as measured in U.S. dollars. He expects Beijing's military budget to approach U.S. military spending, which could spell disaster when combined with the "economic strife" of the trade war. Litinsky believes Cold War 2.0 is ushering out the old market regime of excess and bringing in a new regime of mercantilism. Although the term today is used more broadly in reference to simple commercialism or turning a profit in trade, historically, mercantilism was an economic theory which suggests governments should encourage wealth accumulation within their own borders via protectionism. He predicts that this theme will go on for at least the next 10 years "and will have major implications for markets, economies and all our lives." He also compares and contrasts Cold War 2.0 with the original Cold War. "Just as the U.S. and Soviet Union fought proxy wars around the world via their respective allies and satellite states, we must recognize that the U.S. and Chinese governments will begin to focus on commercial relationships in this clash," he warned. "... This tension may reshape global capital flows in dramatic ways and has the potential to somewhat bifurcate the global economy." However, his biggest concern doesn't seem to be the trade war itself. He noted that in such a heightened level of tension makes it much easier for the global economy to be plunged into crisis. He called to mind OPEC's 1973 oil embargo in response to support of Israel in the Yom Kippur War. The result was a supply shock which sent oil prices through the roof, stock markets crashing, and global economies spinning. That chaotic state lasted about 10 years and was marked by steep inflation and other economic challenges in the West. "There are some real distinctions between that period and the present day, but there are foreboding similarities," Litinsky wrote. "We should not be surprised if we soon find the world in a kind of broader geopolitical crisis or conflict. Maybe an event in the Middle East or the South China Sea will cause economic fault lines to explode." Carlson Capital Portfolio Managers Richard Maraviglia and Matthew Barkoff also briefly mentioned the oil crisis of the 1970s in their September Black Diamond Thematic fund letter. They were actually focusing on inflation in this part of their September letter, so they observed factors other than the trade war which make the global economy's current state look similar to what it looked like in the early 1970s. They feel that monetary policy has been kept "too loose for too long," and consensus expectations look for far less tightening than they believe will be necessary in the future. Because of this, they feel "the last years leading up to this vicissitude of fortune look much like the 1960s before volatility exploded in the 1970s." Crude oil was a factor at that time as well, they noted. They also wrote that as of right now, "Crude oil is undersupplied, OPEC is close to being maxed out, and countries that have ramped up supply, like Libya, appear inherently unstable. With no new projects in the pipeline, the shutdown of Iranian exports might be nothing less than an oil shock, just as it was in 1970." Interestingly, the Carlson Capital team finds it "ominous" that the U.S. has reached an agreement with Canada because they say it puts the entire focus on China. They also believe that the weaker China lets its currency get, the more aggressive the U.S. will be in tacking on tariffs. They also warn that China seems to be slowing quickly despite the central bank's loosening monetary policies. In fact, they see slowing in economies around the globe — except the U.S. If major global economies other than China also retaliate against the growing U.S. protectionism, they believe the growth rate will be even more at risk. They expect China to pull out all the stops to ensure a soft landing. "We believe China has no choice; a hard landing is not acceptable, so we anticipate China will be focused on defending its growth downward, not accelerating, as it has used up its leverage limits..." they wrote. "Since the U.S. effectively sets interest rate policy for the rest of the world, a hawkish Fed doing battle with inflation with a protectionist chaser is, in our opinion, awful for emerging markets."